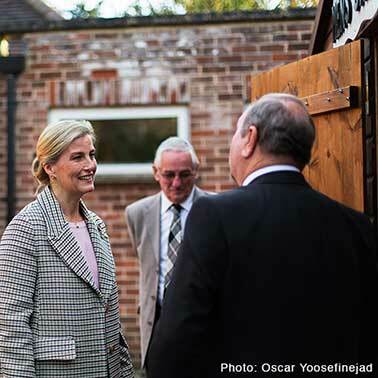 The Balsam Centre is truly a centre for the community, with a wide range of support, activities and groups available. Research into mental health clearly shows what a detrimental effect loneliness and isolation has on our health, and being more active, through exercise and socialising has long lasting beneficial effects. Throughout the year we have courses running such as computer classes and one-off workshops - we've just seen our first one-day photography course, and opportunities to meet other people through the Tuesday Loose Ends Cafe or the Games Club. The Men's Shed is the perfect chance to come and work on community projects - fixing planters or making owl boxes for the Hawk and Owl Trust, and now repairing the benches in Wincanton Recreation Ground. Citizens Advice Bureau offer free advice sessions at the centre, to help you with any legal or financial issues, along with one-off workshops run by CAB on best energy and financial deals. Keep your eyes on the website or for posters in the centre for what activities will be coming up soon. Like us on Facebook to get updates automatically. Do you enjoy a challenge? The games group meet twice a week and play games - Scrabble, card games, chess, Rumikins, Phase 10 - you can even bring a game if we don't have it, or we will try and find it. This is run by a friendly group who just enjoy playing games. No need to book - just turn up, play and enjoy the company! This isn't a learning group but an opportunity for knitters and sewers to work on their own projects, chatting and sharing ideas whilst they work. If you enjoy sewing but would like to do it in company then this is the group for you! No booking necessary - turn up and join in! Are there classes and groups you would like to see running at the Balsam Centre? If you would like a particular activity, come and make the suggestion. Or perhaps there is something you would like to run here yourself - come and chat to us - we may even have a volunteer who could help you. The Balsam Centre is here for everyone! It was set up to give people local access to social, health, cultural and practical opportunities - and that’s just what it does. Alongside this, the Centre’s remit is to provide more specialist information, guidance and support at times when we don’t have all - or any of the answers. If you are finding it hard to cope and would like to talk to someone, you can contact us to see if our wellbeing service can help. A secular meditation group, helping you to rest and relax, and reduce your levels of stress. The benefits of meditation are proven to prevent depression reoccuring and reduce anxiety and worry, so if you are struggling or feeling overwhelmed these sessions can help. The group is run by Ali, a very experienced teacher. If you are interested in joining the group, please call the centre to talk to Ali or leave your number with Sarah and Ali will call you back. The classes run on the first and third Tuesday of the month, 2.30pm - 3.30pm. Don't just sit at home - come and enjoy craft, music, and other activities and meet new people. Stimulate your senses and memories, singing, looking at photos, and share with others. This is a time for carers too, a chance to meet other carers for a catch-up. The group is run by Trish who has years of experience with people who have dementia. Every Thursday, 2pm - 4pm. Every Thursday, 10.30am - 12 noon, in the Camelot Room at Milborne Port Village Hall, Springfield Rd. Fee: £2 - including a cuppa, biscuits and activities. We do a range of activities, which we can adjust to suit everyone’s ability, including arts & crafts, walking the local area, board games, keep fit, indoor kurling and cooking. We are a friendly group with a great mix of people who like a chat and a laugh when we meet. 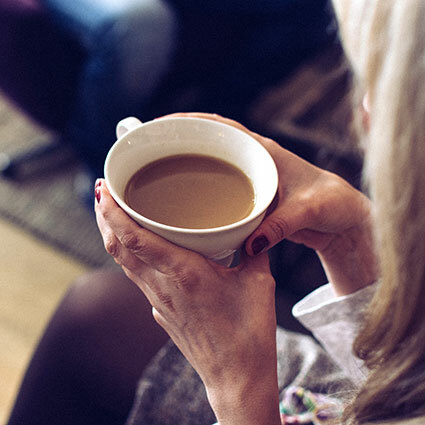 Drop in to the coffee morning and enjoy a casual, friendly chat with others. This coffee morning is open to everyone, whether you have lived here all your life or you're new to the area and haven't met many people yet. and produces feelings of well-being? 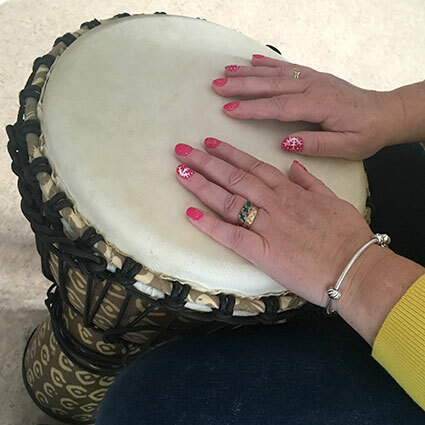 Come and experience the joy of drumming - no experience necessary! PLEASE NOTE: The class has stopped for Christmas and the New Year and will resume on January 22nd. Every Tuesday, 11.30am - 12.30pm, at The Balsam Centre. 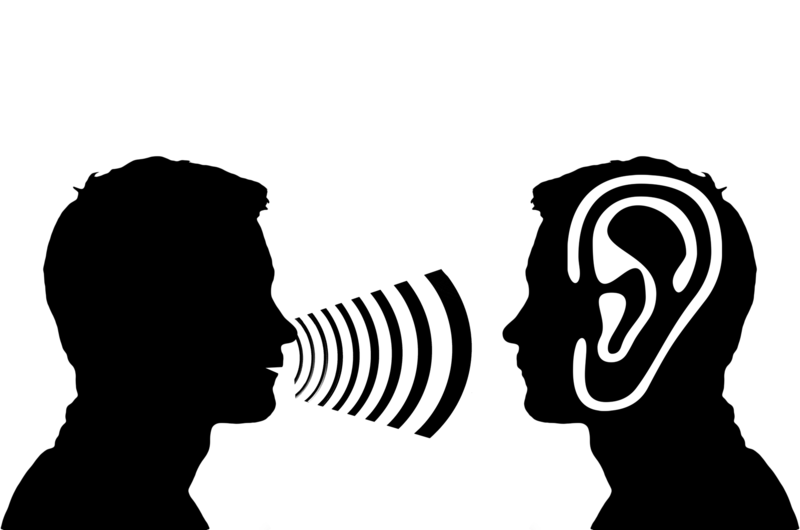 If you are struggling with your hearing aids in social settings, this class can help - learn to lip read so you won't have to struggle through all the background noise! This class is taught by a qualified lip reading tutor and the room has a loop system so you can set your hearing aids to pick up the tutor's microphone. This is a small friendly group that you can practice with. This class is for anyone wanting to learn how to create websites or learn how to use code to create programmes or apps. 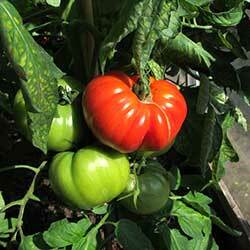 Learn using an online programme with an experienced tutor who works in the field. No previous experience or qualifications necessary - all you need to bring is a laptop or tablet! Perhaps you'd like to create your own website or maybe you'd like a career change designing and creating websites for other people - this is the perfect starting point. All levels - bring your skills and ideas! Not everyone will be working on the same skill each week - some might be painting, some might be drawing - just bring any ideas you have or come along and get inspired. Places are limited so call or email to book your place. Do you have a soft furnishing - cushions, curtains, etc - project that you would like some guidance, assistance and support with? 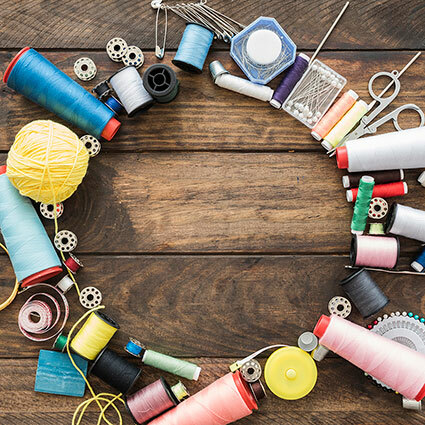 We are running a sewing group to help you, or to inspire you to start your project. This is a small group that will be overseen by two volunteers from interior design and textile industries. Maximum 5 places, booking essential. Email or call if you would like a place or want to go on the waiting list. Sponsorship by SSDC means we can offer each workshop at just £15 per person. Your Time Coaching in partnership with Blackmore Vale Businesses. Workshops sponsored by South Somerset District Council. Vision - 12th February - Use your 'whole' brain and tap into your values to clarify your vision and make it part of your everyday life. Time - 12th March - Practical tools to take back control of your time. Goals - 26th March - Understand why some goals work and others don't. Find the format that works for you. Action - 9th April - Pull it all together in the final workshop, review progress, get support for challenges. 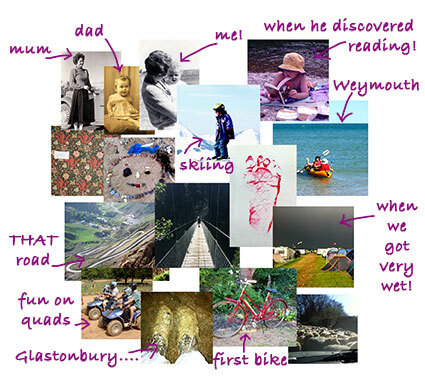 Forgotten how to attach a photo to an email? Or do you want help to download Skype and set it up? Perhaps you are struggling to work out how to use your new mobile phone. We can help! 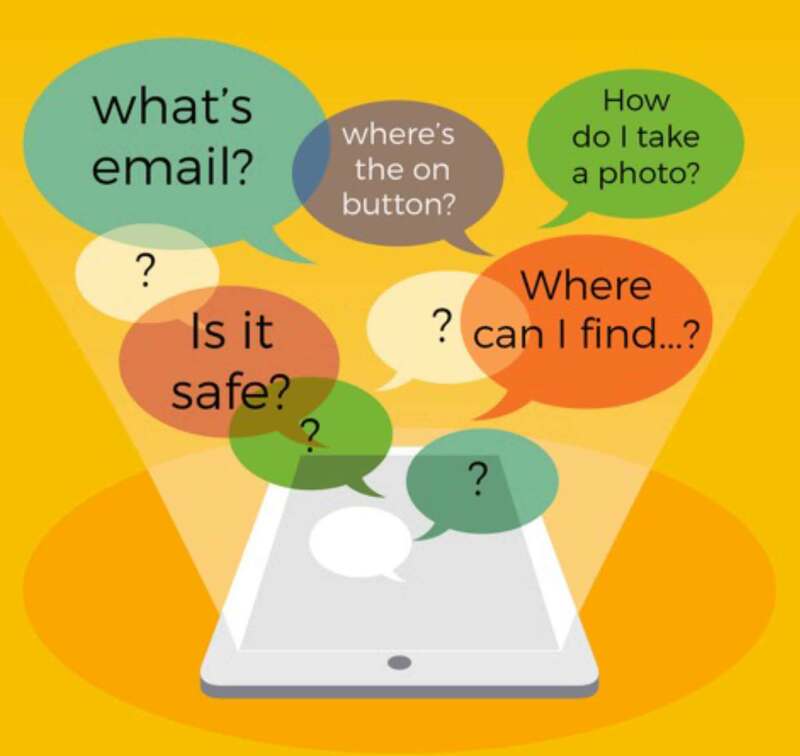 The Drop-ins are run by volunteers and they can help you whether you have a laptop, tablet - ipad or android, or mobile phone - bring it with you. Forgotten how to attach a photo to an email or don't know how to set up your new phone? Whatever your problem, we will try to help you. If you struggle in groups, we can sometimes give you one-to-one sessions. Are you unemployed, wanting to change jobs, or perhaps looking for an apprenticeship or traineeship? It can be hard doing it by yourself - so come and get some support! We have experienced people who can advise you - and help you find the motivation to get you on the right track. We can link you in to other activities in the centre, including volunteering to get you work experience. You can have one-to-one support if you need it. 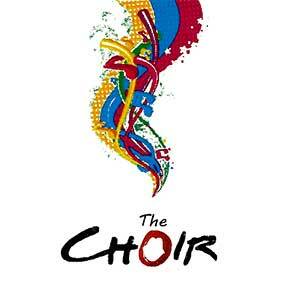 The choir is back, singing at the Balsam Centre every Monday evening, 6 - 7pm. Learn to sing in a fun, friendly and relaxed environment. No audition or previous experience is necessary. Join us to sing songs from the shows, gospel, traditional and lots of other inspiring music. Singing not only improves your confidence, but scientific evidence has proved the effects on mood and well-being. For more information talk to Joanne on salesREMOVEREMOVEREMOVE@REMOVEpitchperfectREMOVE.REMOVEorgREMOVE.REMOVEuk or 07800 767712. And you can look at our website. 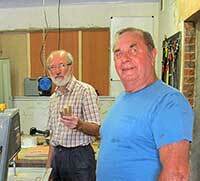 Starting in Australia, Men's Sheds have now expanded worldwide. Many men found that once they retired they lost their social network so "Men in Sheds" started, bringing retired or unemployed men together to work on community projects and to socialise again. If you enjoy pottering about in your shed, or you'd like to work on a project - your own or a community project - with others, then come and meet the "shedders". The group started early in 2014 and have already made new planters for the Growing Space (the gardens that surround the centre), a sieving tool, poster racks, hedgehog boxes, easels, and repaired some of our chairs. 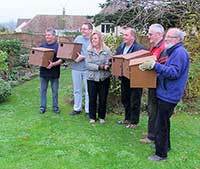 They have worked with the Hawk and Barn Owl Trust to produce Barn Owl boxes and are now making Little Owl boxes. Having seen reports about the poor state of the park benches in Wincanton, the shedders have volunteered their services to restore and repair them, so this is set to be the next big project. You don't have to be a carpenter to join; someone will help you out. But we won't turn you away if you are an expert either! The shedders have now honed the design and building of the owl boxes to a fine art and now they are moving on to other woodworking projects. If you have a project you'd like to work on, or if you'd just like to get involved, come along! If you would like to commission the shedders to build you something, then come and have a chat. THE NEW SHED IS HERE! With many thanks to SSDC, the Blackmore Vale Lions, and an anonymous donor, we have finally extended our shed! We have the new lathe in place - and with space to operate it! Drop in for a cuppa - you no longer have to share a stool to sit down! 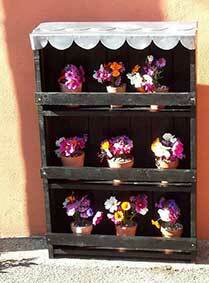 This workshop is open to any woodworking projects. Maybe you have a project you didn't quite finish - well, here's the place you can finally complete it and get some friendly help and advice too. 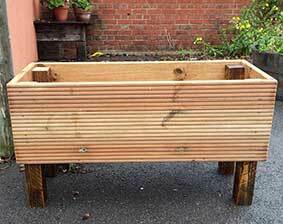 Or help us make planters or other items we can sell to raise money. We welcome all levels of competence in our groups, from complete beginners to experts. Do you have wood or tools you no longer need? And tools you don't need. Planes are always good (but no more mitre boxes please!). We are on the hunt for a second hand wood lathe if anyone has one they would like to sell us! All the proceeds go to a great cause - the Men's Shed! It helps us buy more wood and equipment. 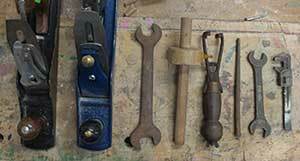 From time to time we are very kindly donated tools - all much appreciated. 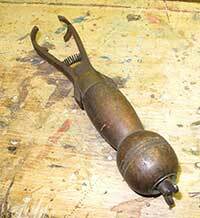 And on occasion we are totally stumped as to what the tool actually is. So here's one of them - any guesses? Drop me an email - AnnetteREMOVEREMOVEREMOVE@REMOVEBalsamCentreREMOVE.REMOVEorgREMOVE.REMOVEuk or call 01963 31842. We have had fantastic support to get the shed going. Dennis Massey, from the local Tools for Self Reliance group, gave us great advice on second hand tools and even travelled across England to collect an Ebay pillar drill for us. Sadly, Dennis has since passed away. Full of energy, he was a great inspiration and he will be greatly missed. Through the Somerset Community Foundation, local furniture manufacturer, Myakka, have been very supportive, providing funds to allow the Men's Shed to purchase new tools including a woodturning lathe. 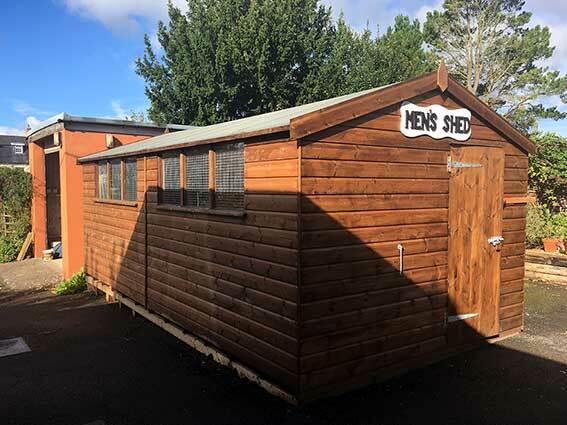 Triton Tools based in Yeovil have encouraged the Mens Shed movement in the UK (and Triton sponsor the Mens Sheds in Australia), and Steve Hewson has dropped in on our own shed to see the "shedders" in action, and donated new equipment to us. We are very grateful for any support we can get. We would be very interested in sourcing wood for the shed to enable us to create new projects, so if your business has offcuts that aren't needed (apart from MDF), we would be able to put them to good use. If you have a skilled workforce, would you be interested in donating time to us, perhaps by releasing an employee for a couple of hours a month? Call Annette 01963 31842 or email AnnetteREMOVEREMOVEREMOVE@REMOVEBalsamCentreREMOVE.REMOVEorgREMOVE.REMOVEuk to discuss it. The Loose Ends Cafe is open to all, no need to book. 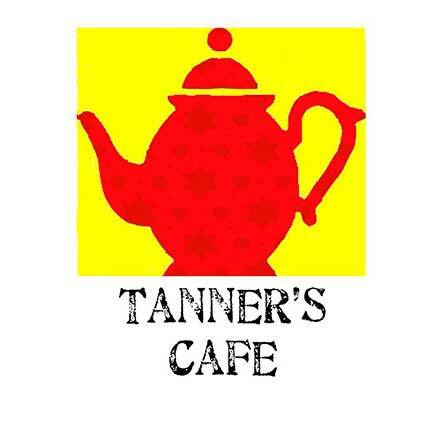 A friendly, warm cafe, where you can drop in for a delicious lunch. We have three large tables - so no sneaking off to that tiny table for one in the corner; this is a sociable cafe. There are regulars and people who were just passing, from jet-setters to men's shedders, retired postmen to film-makers, the conversation is always interesting! And we often pick up ideas here for new groups and activities. Whenever possible our salads, vegetables and herbs come from the gardens and our meat comes from the local butcher, Andrew Barclay. All the food is nut-free for those with nut allergies. Lunch is a set menu, with a choice of vegetarian or meat as the main course, dessert, and tea or coffee to finish. All this for £5 - or if you're over 60 then it's just £3.50! All the food is cooked in our kitchens by a small team of fantastic volunteers, Paris, Ellie, Kristian, Aly and Jake, led by Maggie. Sue, Pam and Lynn are our team who very kindly help us clear up. Paul and Owain lend a hand laying the tables once the morning walking group have finished their coffees. Some of our volunteers have learning difficulties or special needs and this is a wonderful opportunity for them to get involved in their community. If you'd like to get involved in the cafe, we are looking for people who would like to join a rota of people who might like to help serve and clear away. So if you can spare some time on a Tuesday, 12 - 2.30pm, even once or twice a month, please come in and talk to Annette (01963 31842 or email AnnetteREMOVEREMOVEREMOVE@REMOVEBalsamCentreREMOVE.REMOVEorgREMOVE.REMOVEuk). 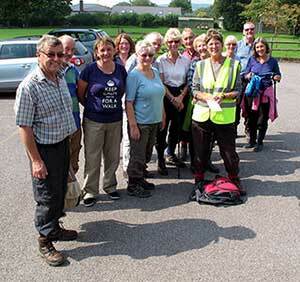 With a team of 14 volunteer walk leaders, the centre runs walks to suit all levels of fitness. To get you started we have very short walks, 30 minute long, which are all on level pavements starting from the Medical Centre. If you have mobility problems, are recovering from a joint replacement, or you don't exercise but have decided you want to start, then this is a good place to begin. You can then work up to the NEW 30 minute, faster walks, generally on pavements but they may have some inclines too, run by the Wincanton Chiropractic Clinic and then finally on to the 50 minute walks, which may have some hills - we are in Wincanton after all! - and which may take you on rougher ground. But if you are reasonably fit, enjoy walking in the countryside and want to find a group to walk with, then it will be the long walks you'll want, averaging 4 - 6 miles, about 2 hours, in length. We also run Buggy Walks in the gardens of the beautiful Stourhead Estate, on level paths suitable for buggies - but you can also bring your babe in a sling! NEW! We now have Balsam Buggy Walks, starting from the Balsam Centre and ending with a cuppa back at the Centre. Whatever your level of ability, we have a group you can walk with. Everyone is welcome, all walk leaders are trained and there is no charge for the walks…that is the beauty of walking, it is free! Everyone needs to fill in a short health questionnaire when they join the scheme. You can download the form and hand it in before you start your chosen walk - click here for the Short and Buggy Walks registration, or here for the Long Walks registration. We all know that regular exercise is good for us but sometimes it can be hard to get started. Gyms and jogging are not for everybody which is why we have come together, under the national Walking For Health scheme, to help get Wincanton walking! Walking improves circulation; lowers blood pressure; and reduces our risk of heart disease and strokes. In fact it will help prevent many health conditions including, type 2 diabetes, certain cancers, Alzheimer’s disease and many others. Walking is beneficial for people experiencing depression, low mood and anxiety; it can improve self-esteem and of course help with weight management. In fact experts say “walking is the nearest activity to perfect exercise”. And, of course, it is very sociable! Level 1, A 30 Minute Short Walk - starts and ends at Wincanton Medical Centre, Dykes Way, Wincanton. For experienced walkers and fit novices, these walks are typically between 3.5 and 5.5 miles long. They start in more remote locations outside of Wincanton, so a car - or a lift! - is necessary. These walks will often include stiles, hills, muddy tracks and uneven ground; if you have walking poles you might find it useful to bring them. The views are often stunning so you might want to bring a camera too. Occasionally, walks will end by a pub and the group will eat lunch together but it is optional. Generally, there is a walk a week, meeting at the start of the walk at 10am. The walk day varies each week - download the brochure via the link below to find out more. Many of our walk leaders are very knowledgeable about the local area and will be able to tell you about the villages you pass though. In the summer we like to go further afield and hire a coach to take us to a coastal walk where we can enjoy a picnic. If you are interested in joining this friendly walking group, please drop into the centre to register and fill in a health questionnaire. Booking is essential so that we can let you know if the walk has to be changed or cancelled due to bad weather. For more information, call 01963 31842. You don't need to bring a buggy to go on the Buggy Walks! Your baby can be in a sling and your toddler can walk if you like. Download a full list of our walks. ++++PLEASE NOTE++++ All walkers need to register at The Balsam Centre first and for the Stourhead Buggy walk, you need to pick up an ID card (please bring proof of address). For the Wincanton Buggy walk please book a place beforehand. The Stourhead Buggy and Toddler walk takes place every other Thursday, starting 10.30am at the Visitors Centre but not during Autumn half term when the gardens are very busy. 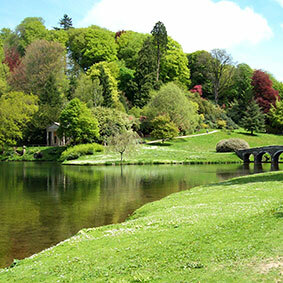 This is a lovely walk around the beautiful gardens at Stourhead. 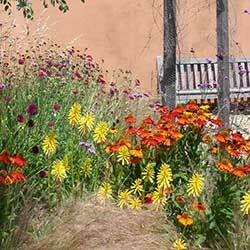 Entry is free for every adult with a child - extra adults must pay the garden entry fee. The paths are level and ideal for buggies and toddlers, but you can of course bring your babe in a sling or baby backpack instead! The walks last about 45 minutes - and we usually end up in the cafe for a coffee and chat. You can also check if the walk is on by going to our Buggy Walks facebook page - we will post if a walk is cancelled or where we might be walking in the holidays when Stourhead is unavailable to us. Walk leaders are essential to make these walks happen. They are fully trained volunteers who enjoy being outside and socialising with others. If you are interested in volunteering as a Walk Leader, call 01963 31842 and speak to Annette. You can bring your child with you when you lead a walk. The benefits of keeping fit are well documented, from the obvious keeping in shape, increased heart function and stamina, to the rewards of better mental agility. We offer various ways of getting started; there's an Exercise to Mobilise class to help you regain strength and mobility after a joint replacement or other operation. We have various lengths of walks from beginner's strolls to advanced hikes. And we have Pilates classes for beginners, improvers, and experienced exercisers aimed at building your core strength. If you are a qualified fitness instructor looking to run a class, talk to us about hiring a room - The Shed makes a fantastic exercise space. We hope to run a yoga class soon and would like to offer other classes. Pilates is a completely balanced form of exercise, with each muscle group being worked and stretched equally. It combines the focus on suppleness that you find in yoga with the emphasis on strength building found in the gym. Pilates is recognised and recommended by the medical profession. TUESDAY - 10.30am, 5.15pm & 7.00pm. THURSDAY - 10.15am, 11.35am & 7.00pm. Experienced - small class, average 10 people. Full cost per single booked session = £5.95 or pay as you go = £6.50. Discounted rate of £5.20 per session when booking a full month. Discounted rate of £5.65 per session when booking one week less than a full month. Classes are led by a qualified, experienced instructor. Contact Karen Stiles on 01963 – 370432 (Office/Home) for more information. A gentle flow class that combines movement with breath improving strength, flexibility, balance with a some relaxation at the end. Suitable for all levels - beginners welcome! This may return at a later date if there are people who would like to play it, so if you would like to take part, let us know! More fun than on the beach! This session is open to everyone of all abilities - everyone is sitting in a chair to play this, so you can be any age or any level of fitness, and we'd love to see a diverse range of ages and abilites come to this. It's played with a larger and softer ball than the beach variety, and you won't have to wear shorts! Gentle chair exercises for people with limited mobility. Maybe you have had a hip replacement, or have a long term condition that makes exercise difficult - come and join one of these friendly groups and enjoy exercise again. £2.50 per session - all welcome! Exercise for an hour followed by a cuppa and chat after! A low-impact exercise combining deep breathing and relaxation with slow and gentle movements. A Tai Chi class specifically for people with Parkinson's disease, to help with balance and muscle strength. This is a low-impact exercise combining deep breathing and relaxation with slow and gentle movements. People with similar symptoms as Parkinsons can join the group too but please contact the local Wincanton Parkinsons Society first - Jennifer 01963 33837. A perfect way to get back into fitness after becoming a mum or to continue and improve current fitness levels. Lots of different types of training to kepp the body guessing. Please call Jo 07824 164116 to book a place and for any details.